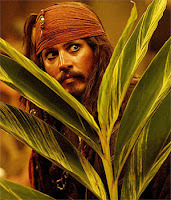 Snippets of Jack: "I chased a man across the Seven Seas." "I chased a man across the Seven Seas." While searching for a crew Jack and Will run into and old friend of theirs. (Jack Dashes away to hide of course)Ex-Commodore Jame Norrington. "James Norrington, what has the world done to you?" well lets see... When one goes to delivers a prisoner to be hung it is customary for said prisoner to be hung! But Jack escaped(surprise surprise) with the help of his trusty crew of course. 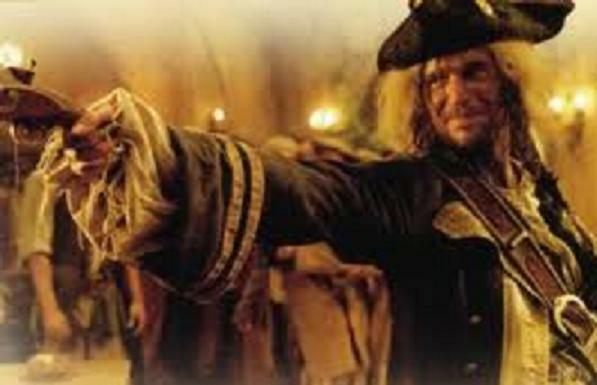 And because of this Norrington is punished, and if that wasn't enough his Fiance Elizabeth Swann. But He found Jack again and his soldier instincts kick in (even though he was thoroughly inebriated) And he decides to do a very stupid thing: Start a fight in a bar full of drunk pirates. Bad move. When he awakes he has a wicked hangover and decides to join Jack's crew. 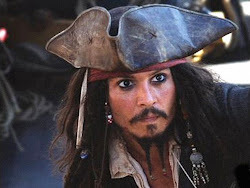 (But Jack has something to say about Norrington first,"You smell funny " Bahahaha. Jack is SO rude! But we all know he never means it right?) Meanwhile James has started plotting to thwart Jack some how, some way.....This plotting take some time to come into action but he does succeed in he end. He stole the Heart of Davy Jones from Jack while Jack was other wise occupied. "Lord Beckett desires the contents of that chest. I deliver it, I get my life back.""Ah. The dark side of ambition. ""Oh, I prefer to see it as the promise of redemption. "―James Norrington and Jack Sparrow." And caused quite the embaresment to our dear pirate. 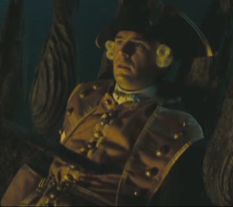 Norrington took the heart to the one person who could give him his former life back; Lord Cutler Beckett. Beckett was greatly pleased with this turn of event sand rewarded Norrington for his deed. "I take it I've won commission as a privateer. ""Oh, I think...better. Reinstatement to your former rank and status, all rights and privileges attendant. And I think a promotion is due, as well. Do you agree, Admiral Norrington? "―James Norrington and Lord Cutler Beckett. But thats not where His story ends. He has some life saving to do still. As a Guard on board Davy's ship (controlled by Lord Beckett of course) He caught some run away captives. One of these captives was his long lost love Elizabeth Swann(soon to be Turner)"Our destinies have been entwined Elizabeth, but never joined." And he made he decision to help them escape and he paid for that decision with his life. We love the crew too! writers such as you who aren't afraid to mention how they believe. Always go after your heart.